Love the Lord Who created us with a lovely heart. 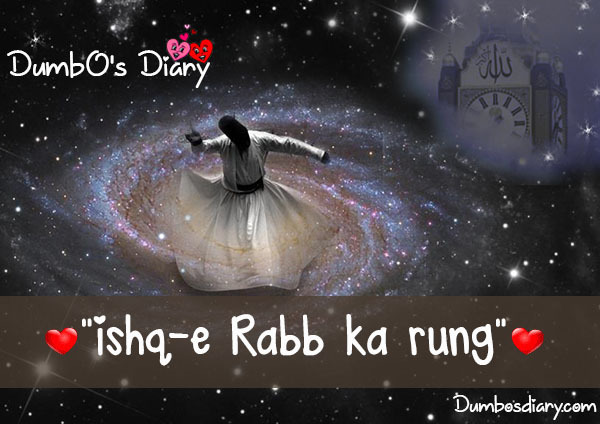 Ishq-e-Khuda is a spiritual poem written in love of Allah. This poem describes the divine love of the poetess for her God. Allah love us even though we are sinners. Just imagine how much He will love us if we do good deeds sincerely and moderately. To fall in love with Allah is the biggest blessing on this globe. It’s a feeling out of this world that can’t be described in words. Ishq-e- Khuda is an Urdu poetry for all those who love the Lord. I gave the picture to these spiritual words. Verily! Allah love us. Sometimes He test us because He wanna give us reward and there’s no reward without any suffering. So, always keep on praying, “Ya Allah! fill my heart with your love”. Always make prayer for the peace and comfort of the heart. In sorrow or happiness always remember Him and call upon Him. In this beautiful poetry, the true lover of Allah tells us that when a person dedicates himself to Allah with profound love, will get the reward in Akhira. A true lover of God forgets all about materialistic things when he ties his knot with Allah. Let’s review few verses about indispensable love for Allah Almighty written by a true lover of Allah.